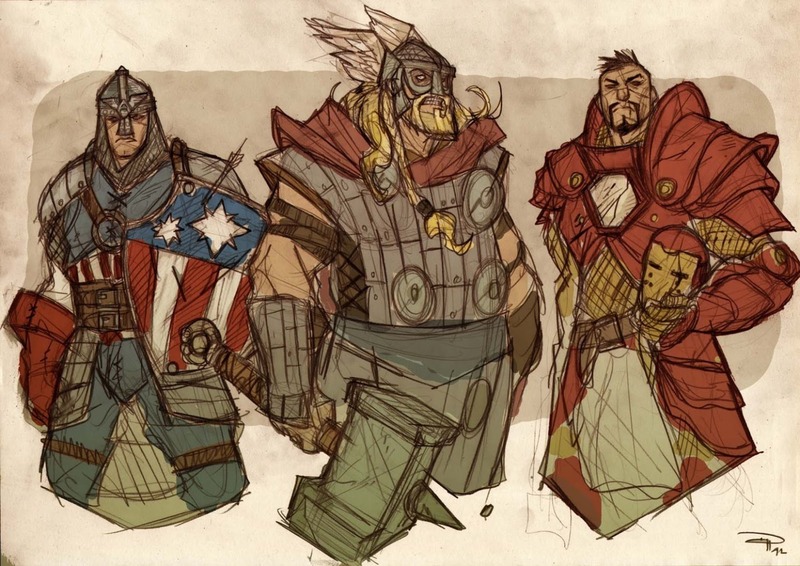 The Netherlands based Junaid Chundrigar made "Disassembled" after drawing some Marvel characters in a cartoony style. It’s the perfect response to The Avengers, The Amazing Spider-Man, Daredevil and the X-Men (all of which I love). Los Angeles-based couple Chris Stever and Jane DeRosa have created a collection of Zombie Gnomes, garden gnome statues where each gnome has become a gory flesh-eating zombie. Each one has a gruesome name like Gertrude Guts or Legless Larry. 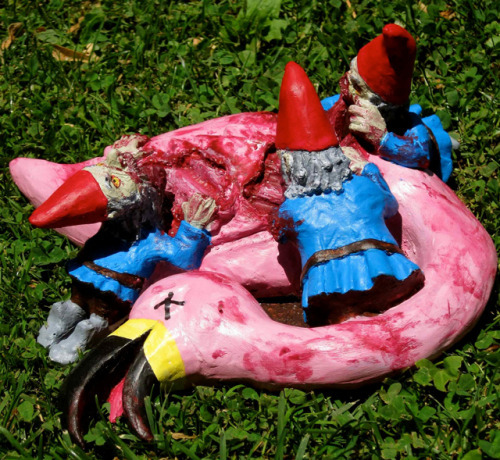 These Zombie Gnomes are available to purchase at their Etsy shop, Chris and Jane’s Place. They also sell unpainted versions. 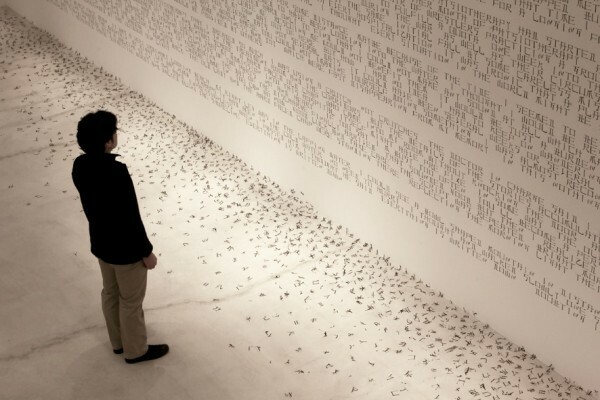 The text in this installation is formed by using strokes borrowed from Chinese characters and then restructuring them into letters of the Roman alphabet. That's no moon! 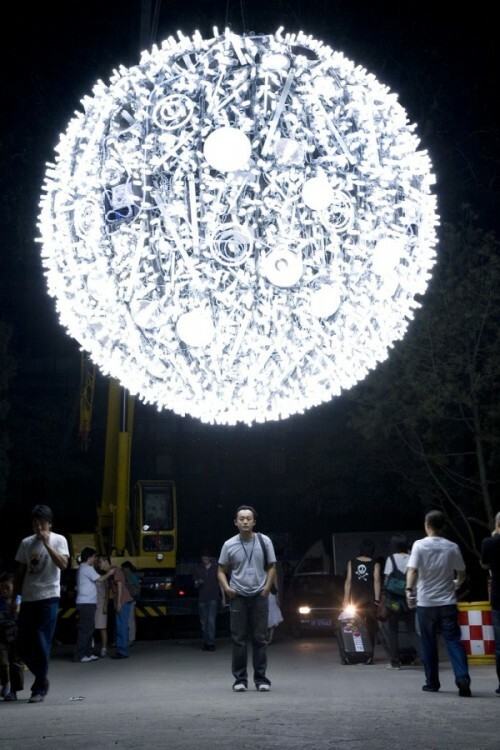 This sculptural piece by Beijing-based artist Wang Yuyang was constructed an imposing recreation of Earth’s moon from hundreds of compact fluorescent lightbulbs. It stands over 13 feet wide (400cm). The piece is particularly poignant as it was originally put on exhibit in Shanghai, a city where it is often difficult to watch the actual moon moving through the night sky due to light pollution. 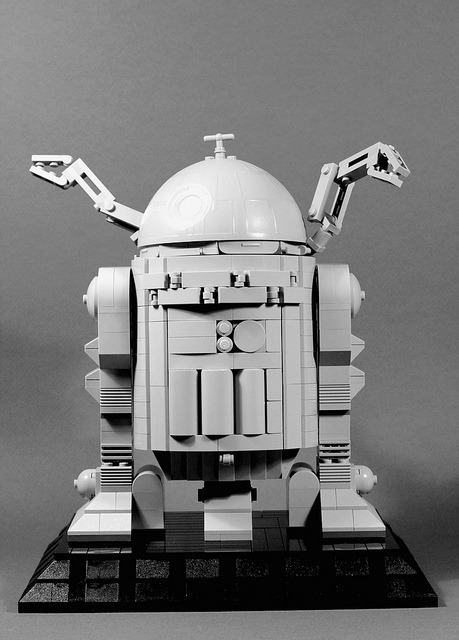 Star Wars R2-D2 Ralph McQuarrie Concept by SPARKART! Community Themed Art Show: "Six Seasons And A Movie"
Do SLR cameras confuse you? Then try the SLR Camera Simulator. Drawing on money can elevate a humble bill to something a bit more entertaining. “Fugu & Tako” is an upcoming short film about a Japanese salaryman who turns into a pufferfish (trailer). 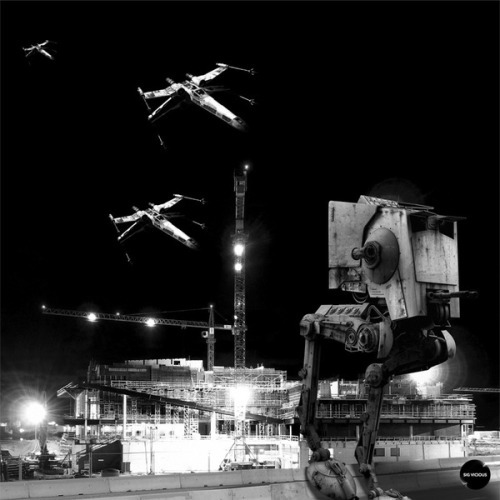 The film is by Australian visual effects studio ROBOT. The Green Bar is a beautifully-craft steampunk-style wet bar. Aperture: Lab Ratt is a live action interpretation of VALVe's web comic 'Portal 2: Lab Rat' and follows the story of the schizophrenic hero behind the walls; Doug Rattmann. You remember Doug, the guy who did all the paintings you find tucked behind the walls in the game. It starts a little slow, but once things start to go poorly, the flick really hits its stride. Lab Ratt runs for 14 minutes, so have some cake handy before hitting play. Isn't this the "game over" cutscene that pops up when you loose a match playing Marvel vs. Capcom as Cyclops? Drop me a comment to let me know I'm not crazy if you've played this game recently. 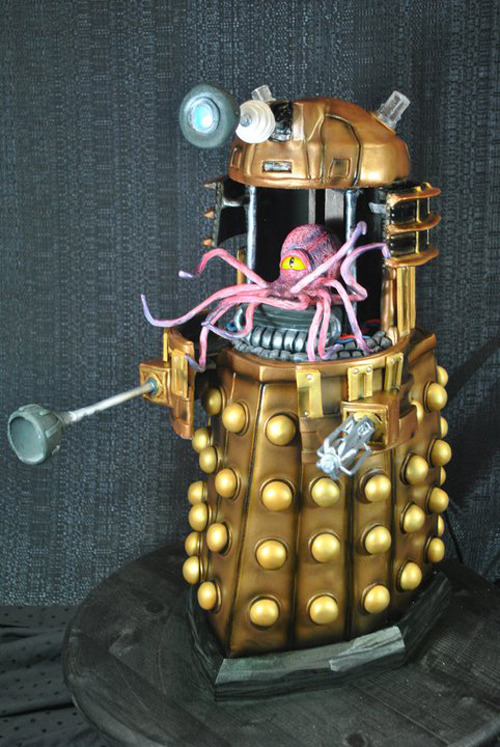 Bleeding Heart Bakery captured the Dalek in elaborate detail with this hard-shelled cake. The Great Eastern Street wall in London's East End received a facelift last January, part of Namco Bandai's promotional activity celebrating the release of Soulcalibur V.
The stairs of knowledge leads to the light. A curious girl in a dark world tries to reach it, but must face those for who light is an obstacle. Made as a Graduation film form the "Bezalel Academy of Art and Design, 2011. Former Weta Workshop designer Tim Gibson offers up this useful video tutorial on character design tips, as part of the process for his upcoming Moth City graphic novel. Such a tease. 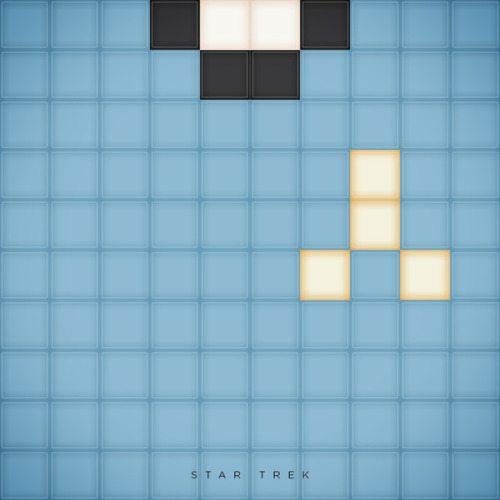 Someone needs to get to work developing this as a real game for my iPhone. It would beat the hell out of playing Angry Birds all day. 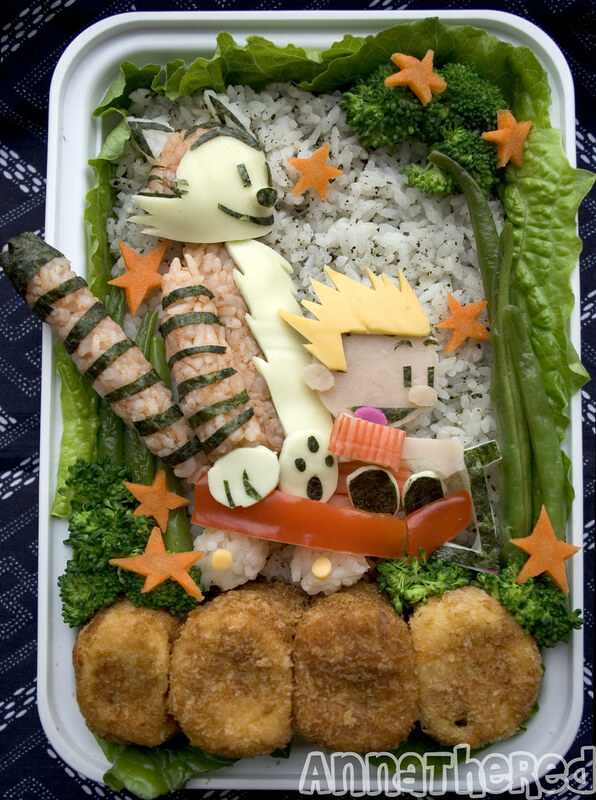 "This cake was originally designed for the OSSAS wedding division, which had to be based on something from "Tinsal Town." I chose to base it off of the trilogy, "The Lord of the Rings." Unfortunately, I didn't finish it in time. :( After so much investment though, I had to finish it for myself. So, here's the finished product, with a lovely backdrop! 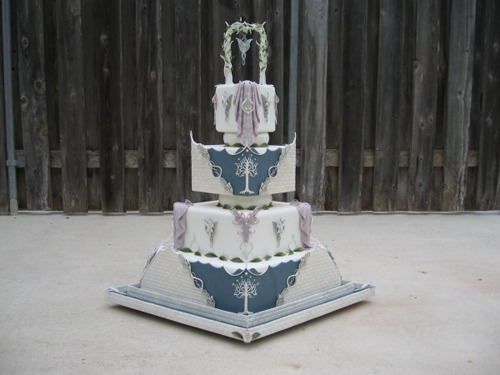 Everything is fondant or gumpaste, except for the wire holding the pendant, and the sugar jewels in the top pendant." 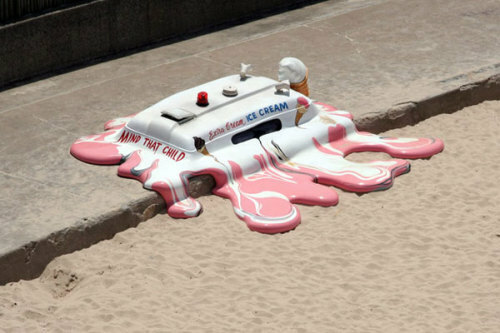 Summer is here, and art is taking a shift towards the outdoors. 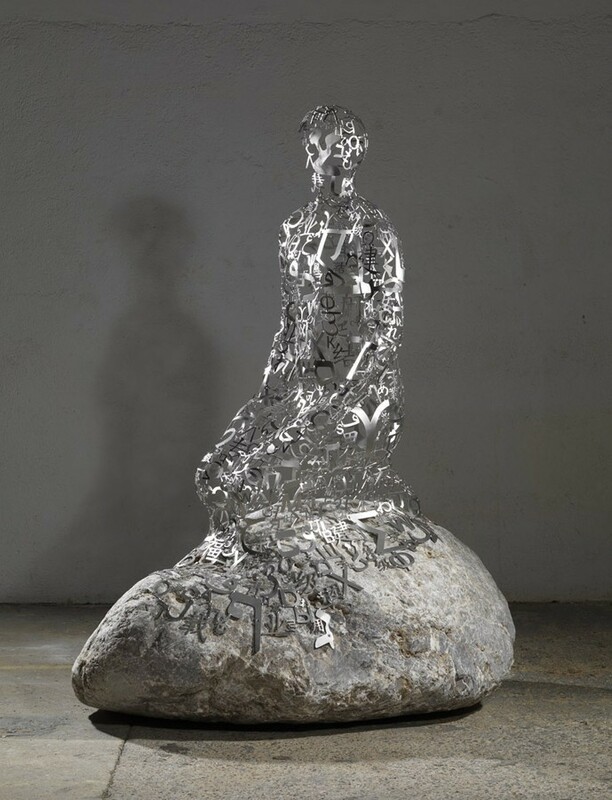 The Glue Society won US$5,000 for this piece as part of the Sculpture by the Sea exhibition that occurs annually in Australia. Prints available for purchase at Imagekind. Buffy The Vampire Slayer, They Live, and other science fiction Nintendo games that never existed from "The Nerdgasm Universe"
Dr. Sergio Cittolin, a physicist at CERN for the past 30 years, has drawn sketches of the Large Hadron Collider in the style of Leonardo da Vinci. Symmetry magazine profiled Cittolin a few years ago. If you want to include Alan Moore in your next role-playing game but don’t know where to begin with his in-game persona, this is a good place to start. There aren’t any stats, but if you treat him like some sort of Lovecraftian Elder God, there’s really no need, is there? 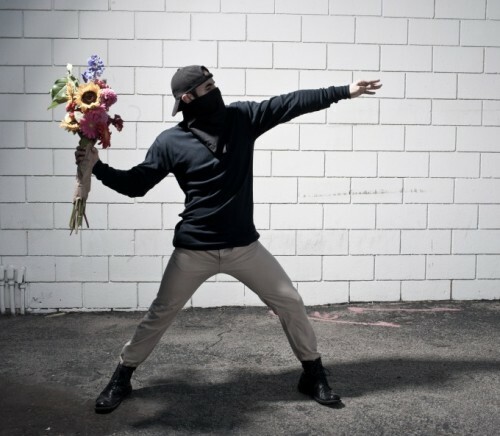 Shooting "Umbrella Girl" by Banksy as a photo. Artie and Rex are professional Dream Cleaners. A night out on the job takes a turn south when Rex goofs off and causes their Dream Cleaning truck to malfunction. Now the dreams of their target, a young kid, start spilling into reality. 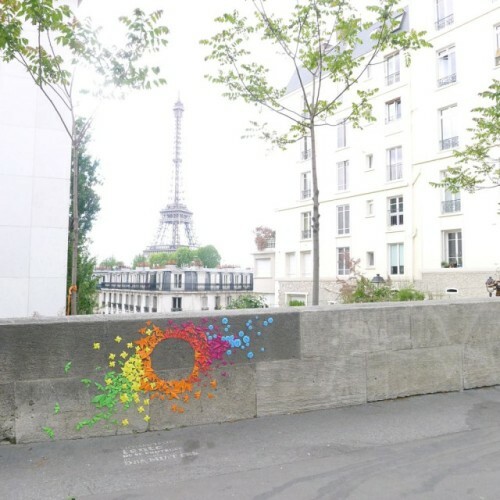 Maurice creates stunning geometric street art on urban surfaces throughout Paris using rainbows of tiny, folded origami figures. The art is composed of hundreds of colorful origami figures glued to walls and fences. SolarSonic is a 100 meter long series of 14 discs suspended inside Taoyuan Airport's International Departure terminal’s exterior glass awning. It was inspired by the ancient Chinese Bi, the neolithic jade discs with a central opening that was used to meditate on transcending earth to the heavens. SolarSonic, was created by sculptor Ray King in homage to Chinese cultural history, aeronautics, space travel and a symbol for Taiwan’s high-tech future. The lenses are connected together with 20 horizontal cables and come together most elegantly. In designing Solarsonic, King was reminded of science fiction author, Sir Arthur Clark’s short story "Wind from the Sun," about a spacecraft that was propelled by the power of sunlight. This method of deep space travel is becoming a reality. Solarsonic is one in a series of chromatic sculptures by King designed to interact with the sun. 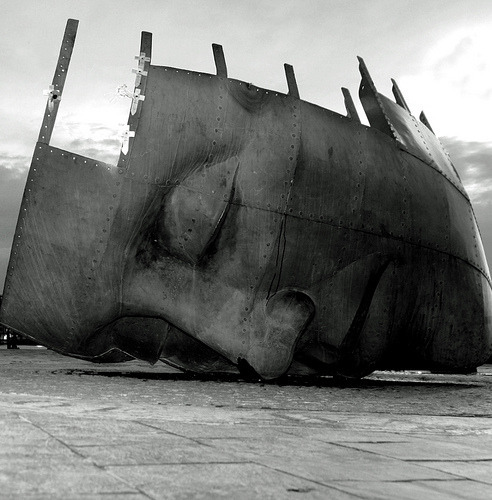 The sculpture’s concave holographic lenses are positioned to face the southern meridian of the sun and will be illuminated at night. "The Hermit XI" by Jaume Plensa, 2012. 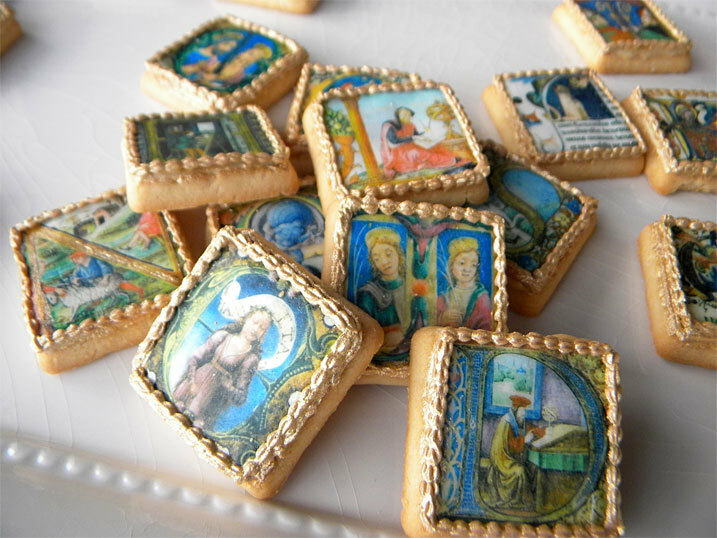 Anniina printed out a series of large dropped caps from several medieval manuscripts onto edible paper using edible ink, then affixed them to square cookies for historical edification and nomming pleasure. A Chocolate tribute to Tim Burton! Cartoonist and Comics Journal columnist Frank Santoro is about to begin a second round of correspondence courses for comic book creators. (There's an application deadline of May 30th.) Santoro is the guy behind Cold Heat and Storeyville, and he's recently been featured in Sammy Harkham’s anthology series Kramer’s Ergot. 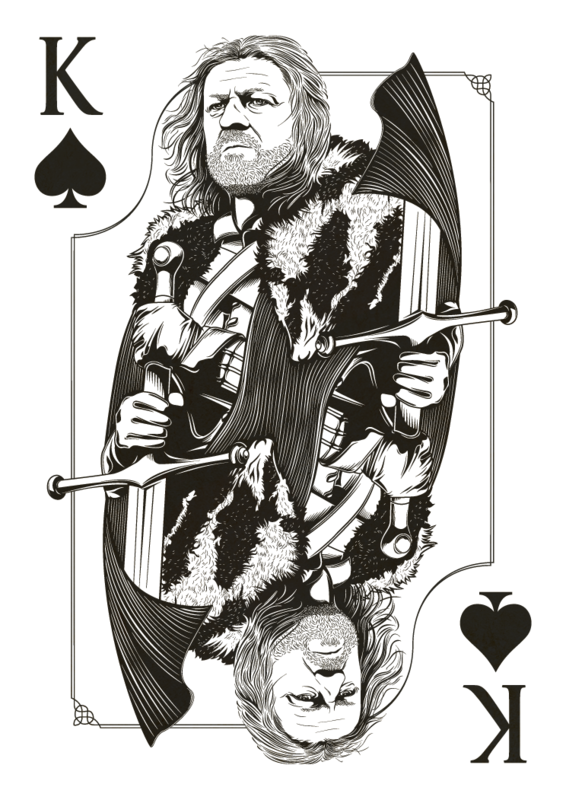 His approach to comic layout is rooted in old school printing techniques and renaissance-era “golden ratio” compositions, and his actual illustrations are based less on black lines and more on building colors in layers. 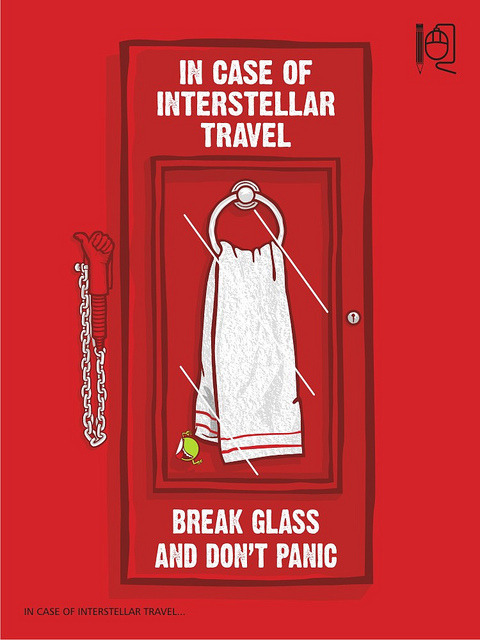 Friday, May 25th is Towel Day! Celebrate Douglas Adams and the Hitchhiker’s Guide to the Galaxy! Spread the news! Animation director Gene Deitch (Kim’s father) talks about his collaboration with Maurice Sendak on the official animated version of Where The Wild Things Are (as well as In The Night Kitchen) that was produced by Weston Woods during the 1970s. 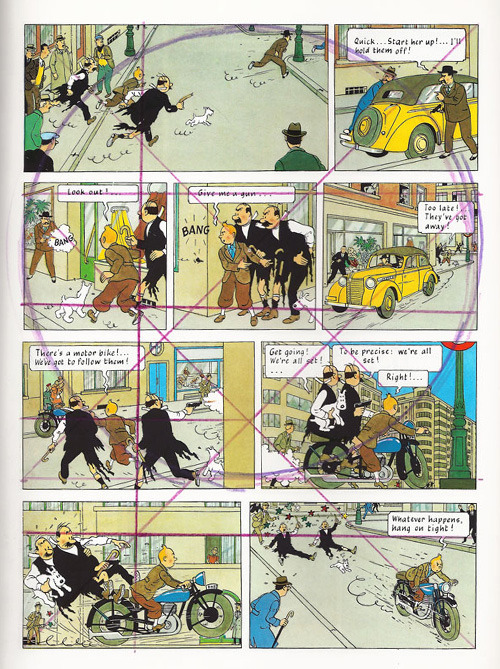 Storyboards, notes, video clips, and correspondance from Maurice himself make for a fascinating read for both animators and illustrators alike. Movie Simpsons is a growing collection of movie references made by your favourite yellow family. Studio 360 talks about an ongoing series by Scott Timberg at Salon.com called No Sympathy For The Creative Class which explores how artists are making 20–45% less income than before the recession. Sci-Fi-London put on another 48 hour film challenge this year, challenging film teams to make a short based around a given title, a snippet of dialogue, a short list of props, and an optional "scientific" theme. After two days in April, over 380 shorts had been made, and the winners have now been announced and and their short films posted on Sci-Fi-London's Vimeo account. 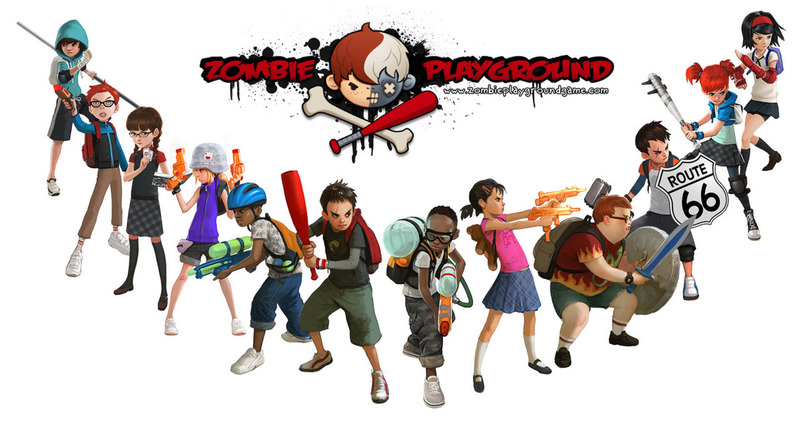 Jason Chan has taken his original painting of some children fighting zombies on a playground to the next level. He is now trying to produce a fully realized video game based on it! He has launched a Kickstarter devoted to the project. I can't decide who my favorite character is, but the kid with the red bat looks like Little Slugger from Paranoia Agent. I hope this game gets made, be cause this is a fantastic idea! Go pledge to help make this happen via the Kickstarter page. Human Interface is a piece for two dancers and two industrial robots by dancer-choreographer Thomas Freundlich. The programmed movements of the robots are mechanically precise, yet surprisingly human. The robots are like animate beings with their own personalities, the equals of their human dance partners. The groundbreaking technology used in this production enables safe movement – for the first time ever – within the immediate proximity of industrial robots. The spacious Pannuhalli stage at Helsinki's Cable Factory provides an interesting post-industrial backdrop for the unprecedented encounter between robots and humans. "One of the most fascinating aspects of working with industrial robots is our incredibly strong tendency to see machines as living, even conscious creatures. Strangely, the robots often seem to be at their most interesting when they're programmed to move least like machines. 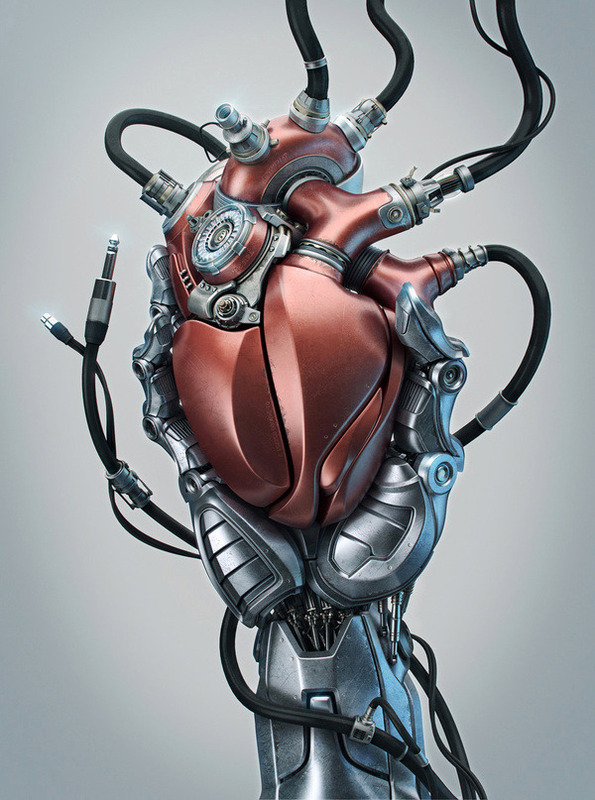 If you make the robot move like a bird, dinosaur or some weird creature we don't even have a name for – well, all of a sudden you get involvement, you get empathy, you get a genuine emotional connection with a machine that's designed to weld cars. This I find incredibly fascinating, as it leads us into some very deep pathways of thought in evolutionary biology and psychology." Dale Dunning welds together metal type and steel hardware to create intricate masks. 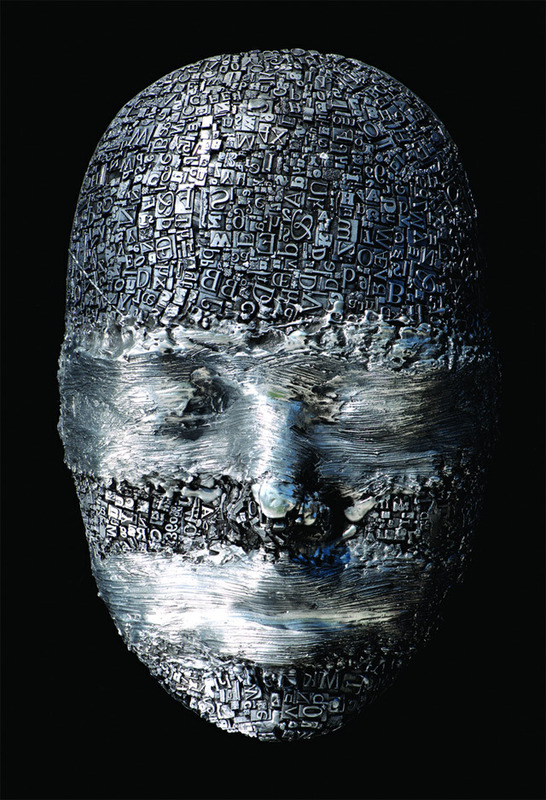 "The head that has been featured in my work for the last 13 years is a generic, simplified form not specific to gender, devoid of detail, resembling an egg. The head is universally recognized, easy to identify with. We live in our heads, see, feel, and experience the world in our head. It serves as the foundation upon which I can develop various paths to explore." 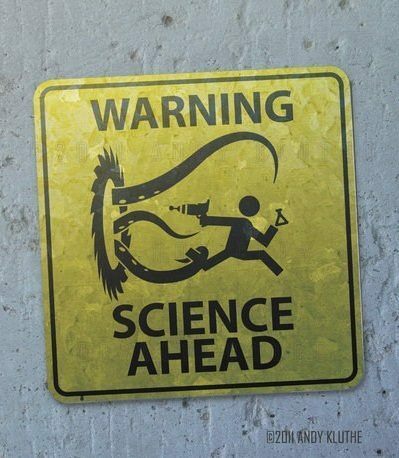 Located at the offices of Bethesda HQ. 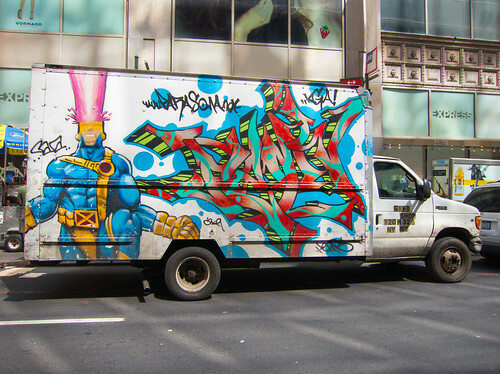 Chromeography is a tumblr devoted to images of chrome: the lettering, logos, and ornaments adorning old automobiles (and bicycles and cameras and appliances). The Disappearing Double Chin Trick for Portrait Photography: "The key to looking good in photos? It's all about your jaw, as photographer Peter Hurley explains in this video." (YouTube, ~15 min.) Hurley's quick tips for better portraits in the NYT; Hurley's helpful headshot tips for actors. (~8 min.) Want more? FStoppers behind-the-scenes video (10 min. ); an excerpt (from his DVD) of one headshot session; a 2-hour seminar on "The Basic Headshot". An SLR Lounge interview with Hurley. Drawings of the elements of CMS detector, in the style of Leonardo da Vinci "Sergio Cittolin is first and foremost a physicist in search of answers to the mysteries of the universe. Yet he also has an artistic bent, and his talent for drawing has woven itself nicely into his 30 years of work at CERN. 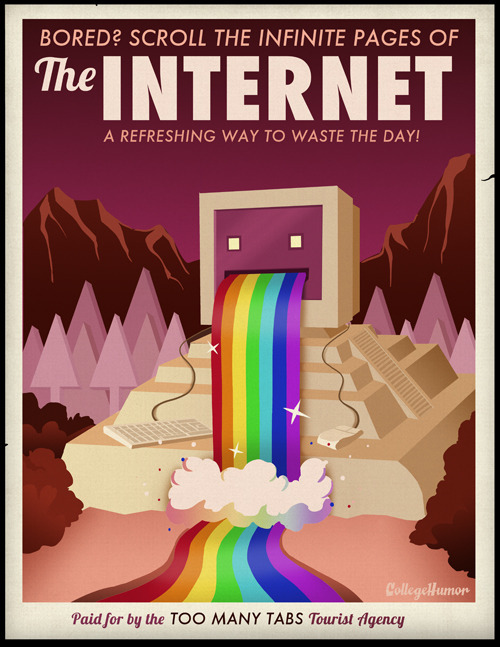 The result is a collection of Leonardo da Vinci-style illustrations that brighten CERN hallways, a book, and the covers of a number of technical documents." Neil Gaiman offers 10 essential tips for working in the arts in a commencement address at The University of the Arts in Philadelphia. Despite having recently retired from acting, Leonard Nimoy delivered a very stirring address at Boston University last week. I would watch the hell out of an anime series featuring these guys in a Lord of the Ring-scale conflict with a horde of Orcs. Created in Photoshop CS4 with a water color texture. 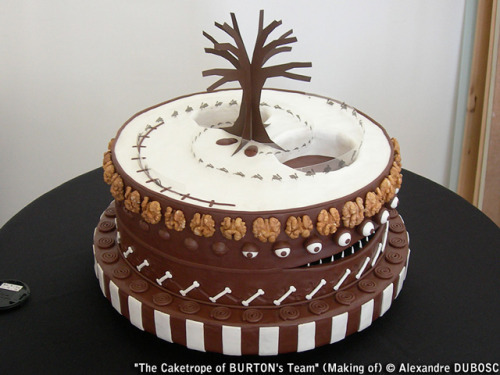 "Description: This is our cake interpretation of the Temple of Fates. 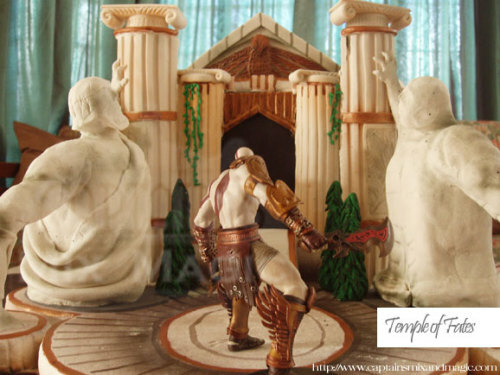 The figurine of Kratos is poised to enter the temple ready to take on the challenge… devour the 120-serving cake!" This amazing creation is a scene modeled on the God of War video game. 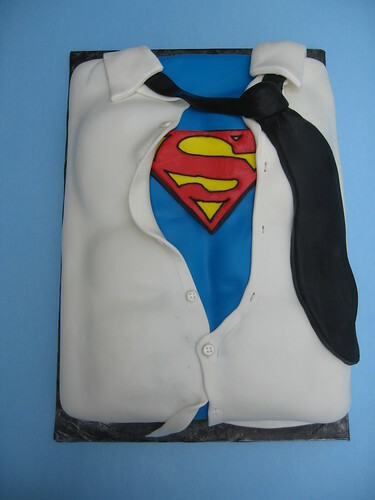 It stands ten inches high, and it is composed of three cakes and a whole lot of gumpaste. 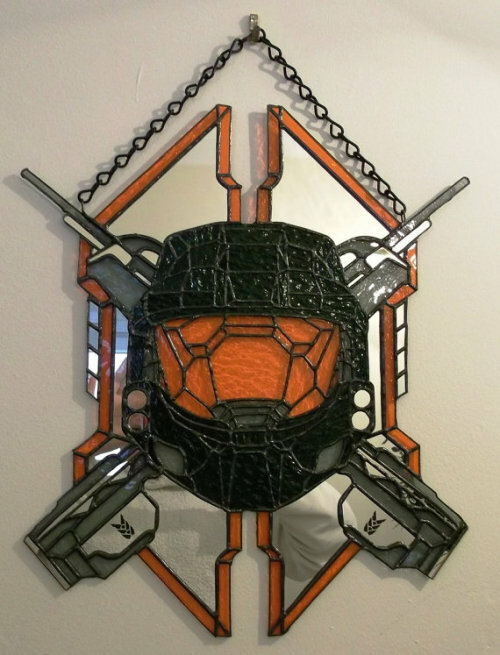 In all, it reportedly took a staggering one hundred sixty man hours to create. 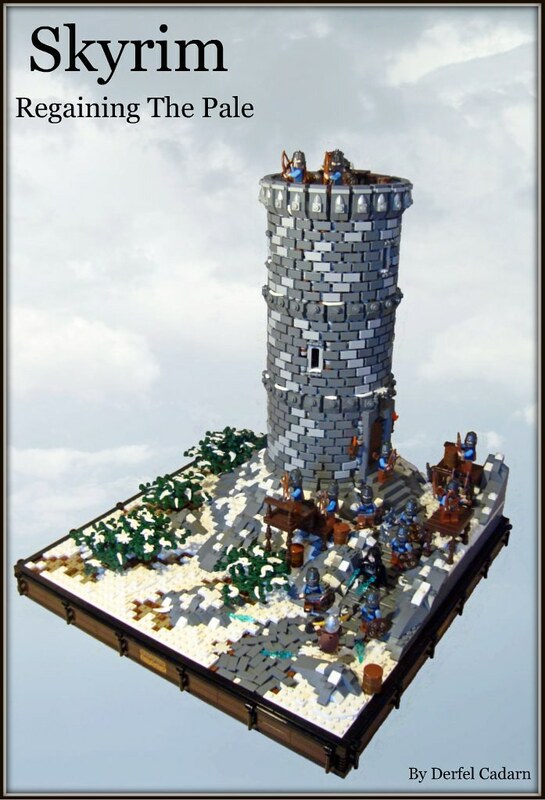 "Our Adventurer has discovered an outpost guarded by Stormcloaks and an Ice Mage! Outnumbered, he fights his way to the top, only to be rewarded by some barrels full of tomatos and cabbage! The first of a few Skyrim mocs I've been messing about with over the last week. I went with the round tower as they show up all over Skyrim." Vessel is a very ambitious scifi / horror short in the vein of Alien, The Thing and Close Encounters of the Third Kind. VESSEL features a blend of old school, practical creature effects and slick, modern day VFX. The story focuses on Liberty Airlines' Flight 298 and its passengers. Shortly after takeoff, the passengers encounter an otherworldly force and thrown into a fight for their lives! 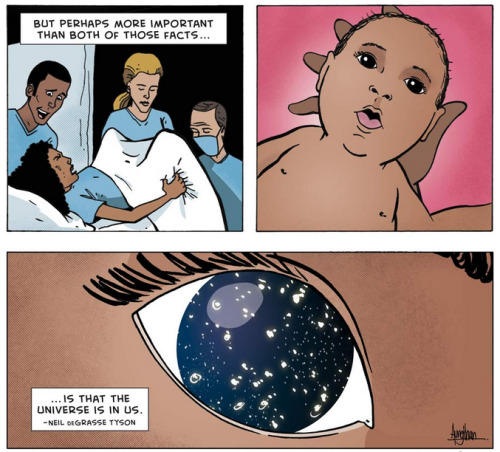 Zen Pencils is a blog with a pretty simple premise: take inspirational quotes and set them to comics. 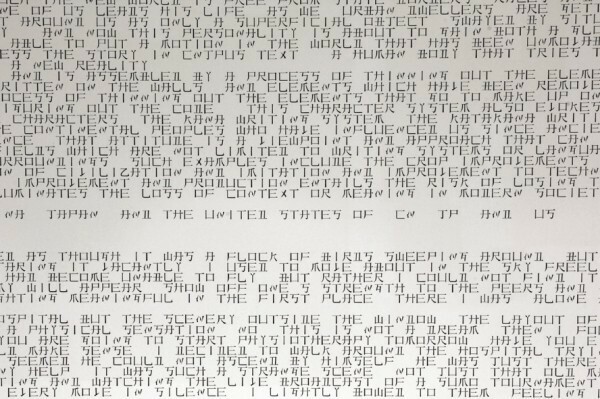 It's only a few months old but there are already a bunch of greats within: Neil deGrasse Tyson, Carl Sagan, Albert Einstein, and more in the archives. It's amazing how prolific the author is for the quality of work which is put into each one. 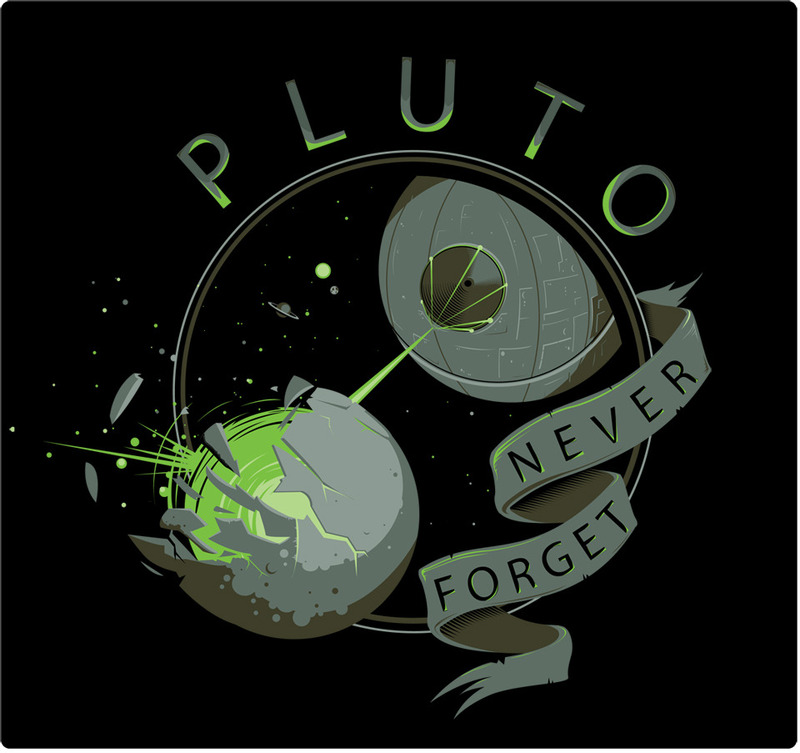 These are great, especially because it isn't always the obvious/literal illustration of each quote. The Litany against Fear is particularly touching. 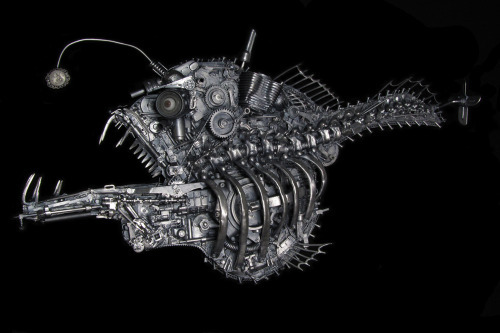 "The name is taken from the Latin term for ‘greed’ and the bait this mechanized angler fish is using is a coin from 1799. Heightening my enjoyment of the subject (greed) it’s a commission for a German financier!" The Art of the Brain: Turning Illness into Art: "Elizabeth Jameson developed a fascination with the brain after she was diagnosed with multiple sclerosis, and she turned her fascination into art. The final scene from Aliens recreated in Legos. Wish you could Quit your Day Job to pursue art? 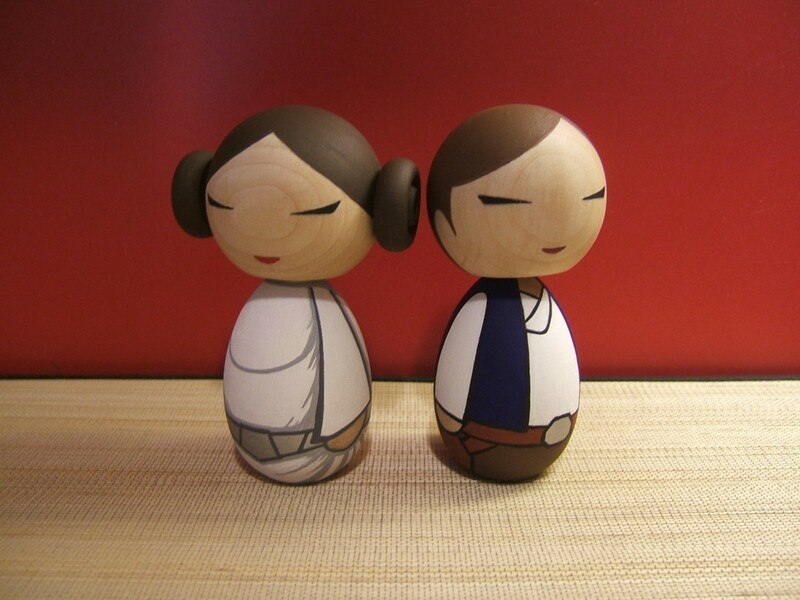 Etsy has a blog devoted to artists who now make a living selling their crafts online. Some of them are fairly inspirational. This short animation featuring a monologue by Irish actor Diarmuid De Faoite is a power piece of theater. Brennan’s visuals fit the narrative to a tee, and his highly stylized character design captures the madness of his fisherman. 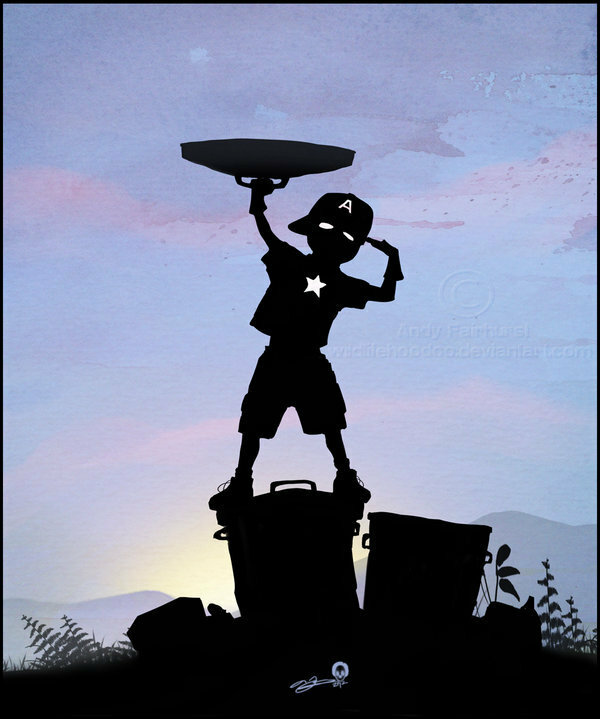 Combined, the acting and animator are sure to reels viewers in! Can you pick a movie out just by the pixelated threads of the main character? Give it a try. 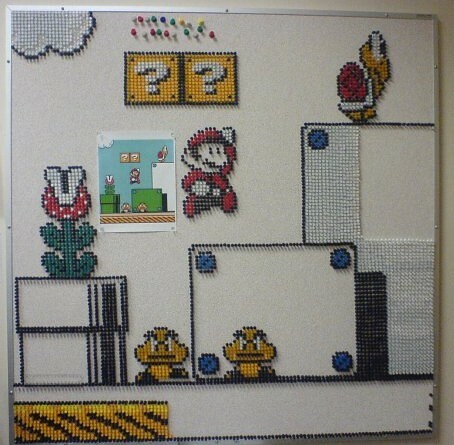 Every few semesters, the members of the CIS Student Association create a new 8-bit push-pin mosaic depicting a scene from Super Mario Bros. This is the third revision of this project. 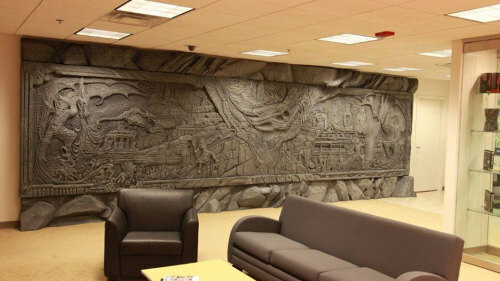 It took about two and a half semesters to complete from the first version of the mosaic, but this final version was completed entirely within the first two months of Fall 2008. 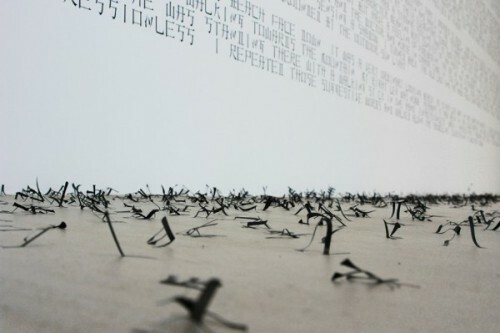 It is composed of over seventeen thousand push pins pressed into a bulletin board, which located in the Student Computing Center at the University of the Fraser Valley. The 'Megatropolis' project started in London with few companies and artists invited to create a vision for the future mega developed city. The overall "Megatropolis" project didn't make it to its final stage but the concept grew into this architectural utopia and animation. City in the sky is a concept about a tranquil oasis above the mega developed and polluted city where one can escape from the everyday buzz, smog and dirt. The concept is inspired by the Lotus flower which is known for its ability to emerge above the murky waters pure and clean. As you can see, it is pretty amazing! Taman Anggrek in Jakarta, Indonesia is officially the world's longest architecturally-integrated media facade, spanning over 1,160 feet long. 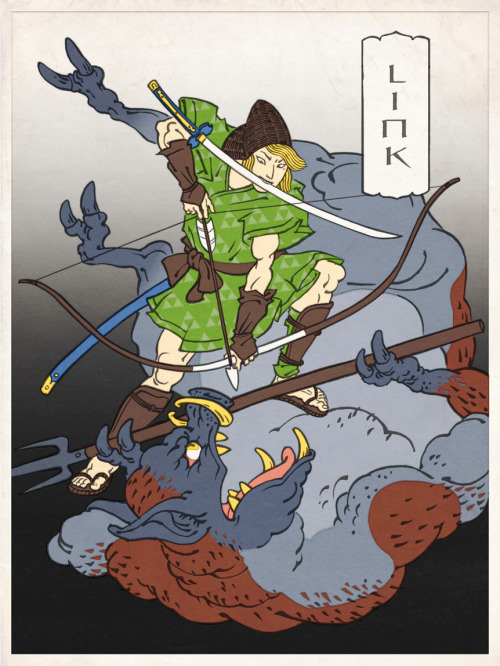 Artist Jed Henry has taken characters from the classic video games of his youth and re-envisioned them as samurai drawn in the style of Japanese Ukiyo-e woodblock prints. Mega Man's vanquished bosses are depicted as a cloud of oni. Samus' mech armor becomes 16th century Gusoku. 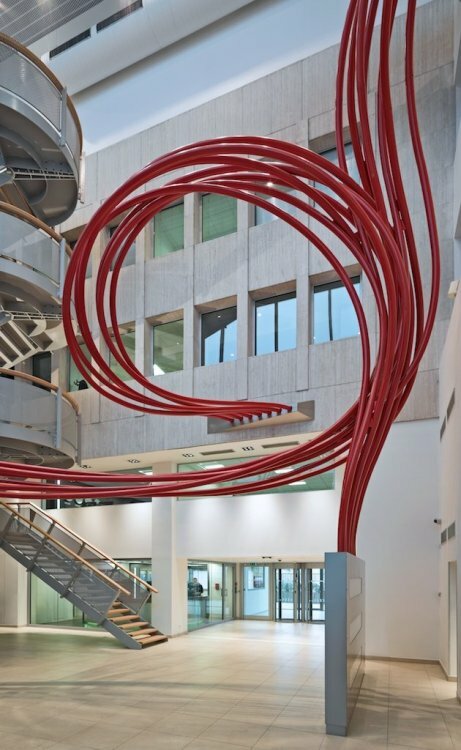 Australian artist Chris Fox built CONVERGENCE in the lobby of the Global Switch data centre in Paris, France. Personally, I wouldn't think that cables running amok would inspire confidence in potential clients, even if the cables were art. CartoonBrew's concept for a Disney Pixar Avengers movie looks like it would be the best Pixar movie yet. It'd watch it! 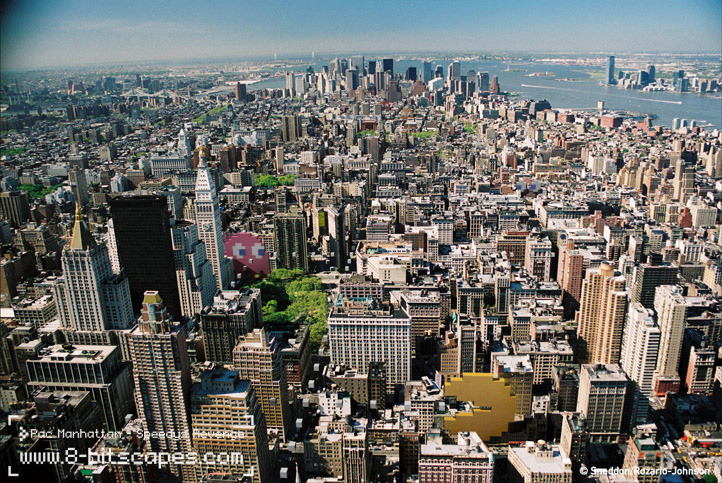 I Love NY light sculptures lead to bomb scare, arrest, and psychological evaluation. Skeletronix has posted a gallery of Lord of the Rings illustrations by the legendary Frank Frazetta. I think that an anime series based on these sketches would probably go over like gangbusters, but alas, Hollywood was never that cool. 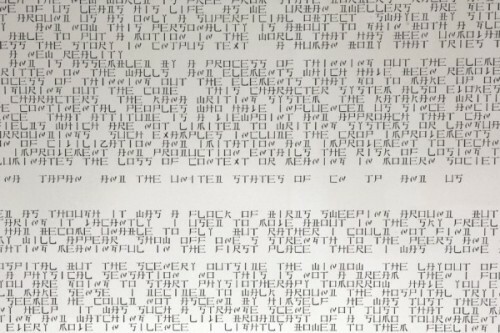 Would you recognise the birth of artificial intelligence? At the dawn of a new era one human being faces a decision which could change our understanding of humanity forever. I'm bookmarking this site for egg painting ideas next Easter! This series combines photographs of real world cityscapes and classic videogame characters with delightful results. Highlights include: Kong, Mario Kart Banana Peel, and Swarm. Jordu Schell sculpts monsters and freaks for the film and television industry. Since he got his start back in 1987, he has worked on a long list of your favorite movies, including Avatar and Alien vs. Predator. Each photo in this collection by Japanese artist Makoto Sasaki has been digitally enhanced to appear to be even busier still than the normal day-to-day press of traffic actually is. 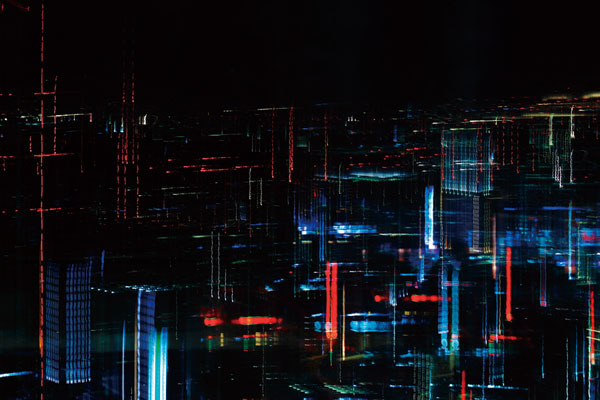 His long exposure photos layer the lights of the city's traffic and buildings to convey the frenetic energy of the city. LEGO blocks are one of the most beloved toys in the world, playing a role in many a person's childhood. 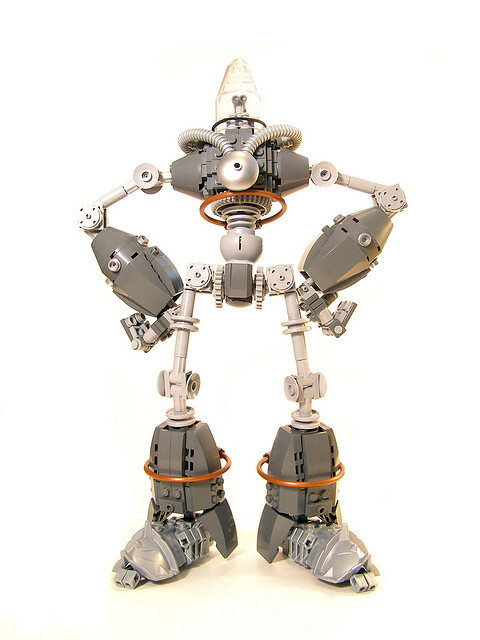 But for some creators, LEGO has evolved from toy to art form. In this episode of Offbook, PBS talks to three LEGO artists (Sean Kenney, Alex Kobbs, and Nathan Sawaya) who have made beautiful mosaics, amazing stop-motion videos, thoughtful sculptures, turning the tiny building blocks into a true artistic medium. 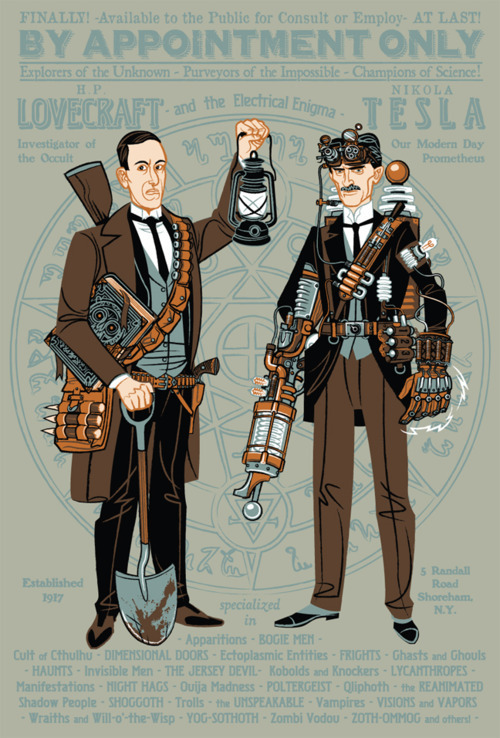 I’m a huge fan of the various drawbots you see around the web, but Eske Rex’s Drawing Machine isn't electronic or motorized. It's powered by a pair of enormous concrete pendulums. The results are like Spirograph line drawings on steroids. 25 Awesome Robot 3D Art Concepts from Ninja Crunch. "Hello! I'm the Doctor Puppet! I travel to places with my companion who takes pictures of me." Doctor Who as a puppet, traveling around NYC, getting his photo taken. SPACE PROGRAM is an immersive space odyssey - an installation of dynamic and meticulously crafted sculptures and multimedia displays exploring the notion of space travel to the red planet. Sachs arranged a collection of launch platforms, mission control stations, exploratory vehicles, and other finely crafted components vital to an actual space launch. The exhibit is opened now through June 17. Check out more photos at Wired's Underwire blog. 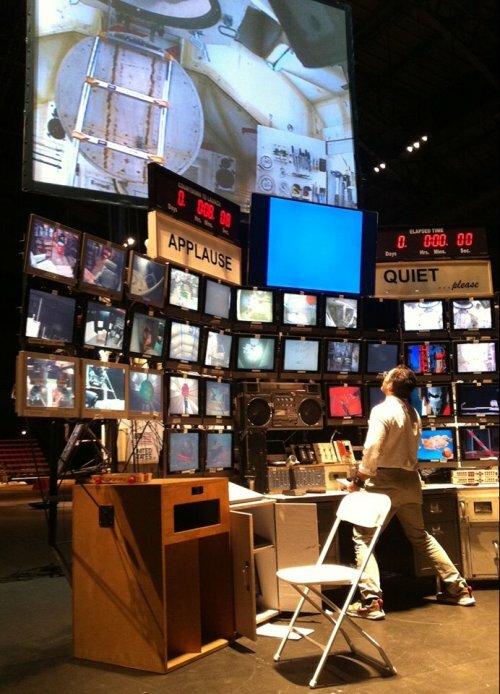 "Using his signature bricolage technique and simple materials that comprise the daily surrounds of his New York studio, Sachs engineers the component parts of the mission—exploratory vehicles, mission control, launch platforms, suiting stations, special effects, recreational amenities, and Mars landscape—exposing as much the process of their making as the complexities of the culture they reference. SPACE PROGRAM: MARS is a demonstration of all that is necessary for survival, scientific exploration, and colonization in extraterrestrial environs: from food delivery systems and entertainment to agriculture and human waste disposal. Sachs and his studio team of thirteen will man the installation, regularly demonstrating the myriad procedures, rituals, and tasks of their mission. The team will also "lift off" to Mars several times throughout their residency at the Armory, with real-time demonstrations playing out various narratives from take-off to landing, including planetary excursions, their first walk on the surface of Mars, collecting scientific samples, and photographing the surrounding landscape." 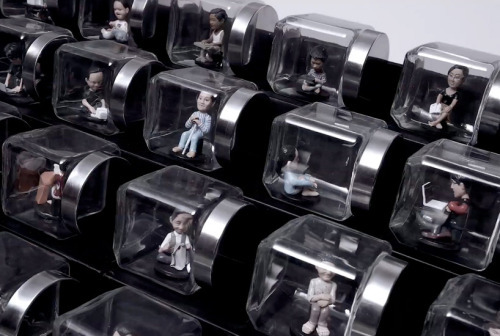 "The Keyboard of Isolation" features thirty-six families depicted by hand-crafted nine-centimeter tall figurines sealed in 115 glass keys arranged in the shape of a five-meter long keyboard. The tagline of the piece reads "go online and family is isolated." 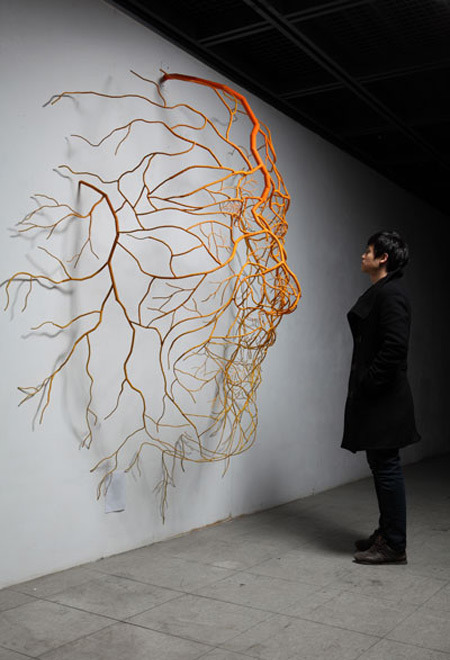 Created for the Family Care for Grassroots Community in Shanghai, China, the piece is a commentary on computer addictions. They interview Jason Eppink, the assistant curator. Curated from a Something Awful forum thread, the "We Tripped El Hadji Diouf" installation shows the incredible evolution of a simple fall during a soccer game, to a work of art. The real revelation of the installation is that it shows GIFs as a new form of conversation, unlike the pre-meditated forms of art normally found in museums.